Tickets are now on sale in the Clubhouse for our next social event. 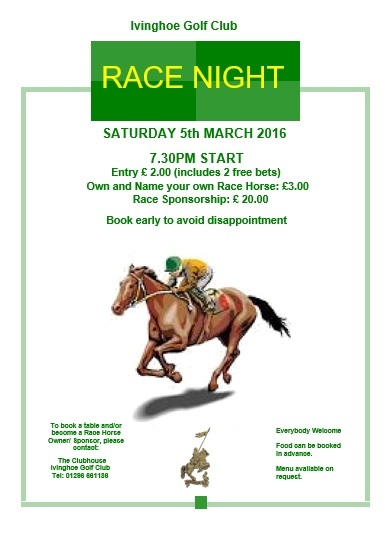 Come and join in the fun at our Race Night on Saturday 5th March 2016. Everybody welcome, Members, Guests and Non- Members.